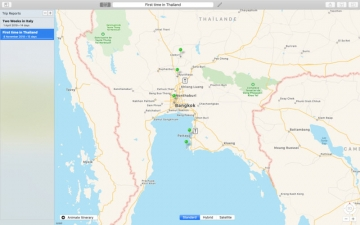 My Travels Reports | Mac App Storeのアプリ検索・ランキング BuzzMac! Welcome to our new app "My Travels Reports", completing our "My Travels" collection of apps with "My Travels Planner" and " My Travels Lists". 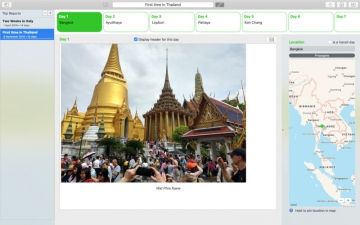 • Start a trip report from a previously planned trip (requires "My Travels Planner" app) or start from scratch. • For each day of your trip, add photos, location, and document your experience. 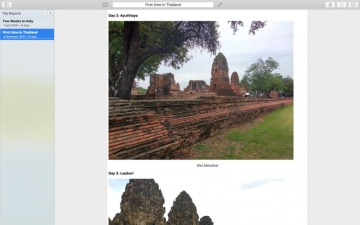 • Have fun with the itinerary animation to get a bird eye view of your trip. 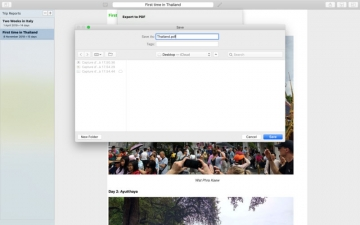 • After finishing your trip report you can export it in PDF format.